If you have followed my blog for years, you'll know about my addiction to nail polishes! 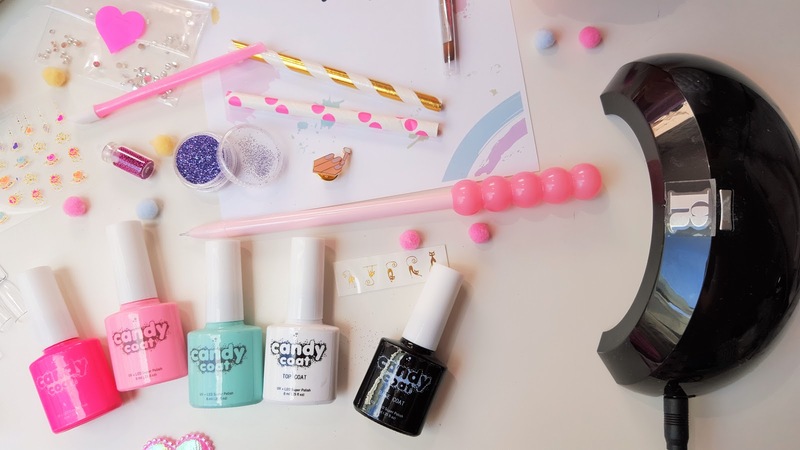 I am always looking for my next nail polish fix, and when the team at Candy Coat got in touch, I thought ohhh this looks interesting! 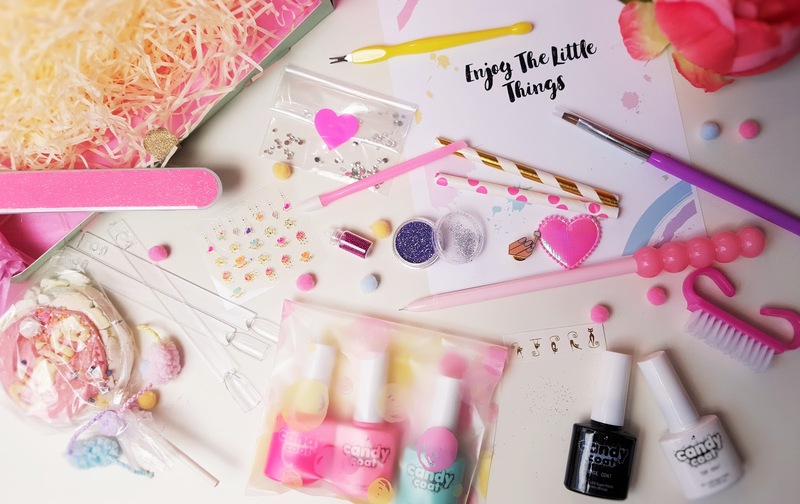 Created back in 2015 by a fellow nail polish / colour obsessive - Candy Coat allows you to purchase the brands own range of gel nail colours in a monthly subscription box. 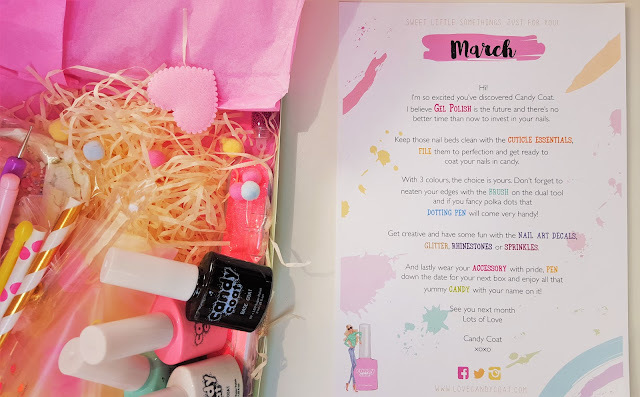 With three hundred colours available, Candy Coat offers two boxes which include the monthly Colour Box with just gel polish for £30.00 and then the Subscription Box with gels and goodies for £18.00. 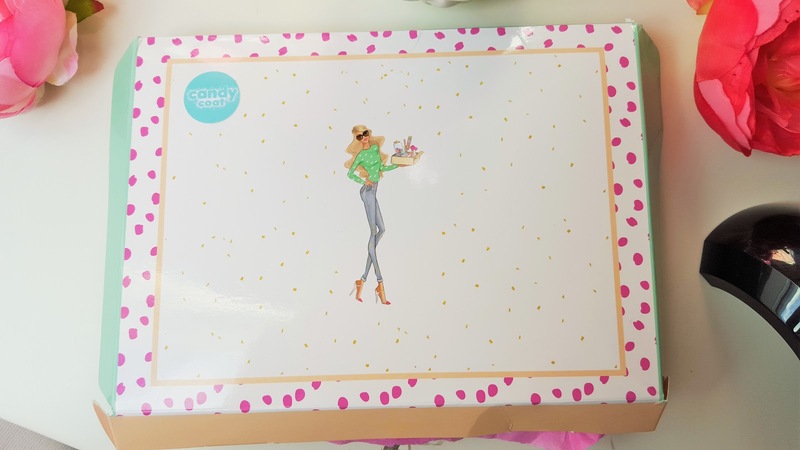 I truly didn't know what to expect when my Candy Coat box arrived - I received the subscription box version and I must say it is totally up my street! Packaged beautifully in PINK!! What more could I ask for, seriously?! Contained inside is everything you'll need for a gel manicure. 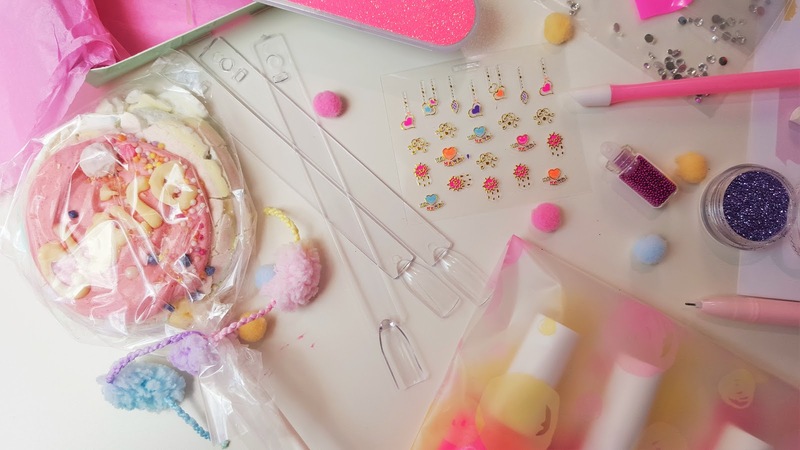 From the cuticle remover, glitter, nail decals, gems, and then a cute nail themed pin. You then have the gel base coat, three gorgeous spring-like colours and a gel top coat. The only addition that you need to complete your gel manicure is a UV or LED lamp - I'm lucky that I have a Red Carpet Manicure UV lamp, but you can pick up an inexpensive version of UV lamps on Amazon 'Here' ranging from £9.99 upwards. The box is so fun, thin enough to fit through your letterbox, it's filled to the brim of goodies! 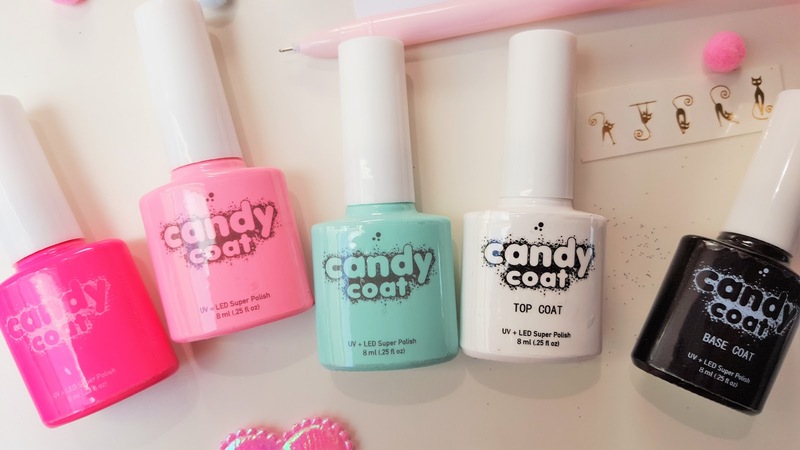 Candy Coat is far more than pretty, pink cute stuff, Candy Coat gel polish offers high quality products which are intensely pigmented giving a flawless finish and lasting up to 5 weeks! Candy Coat is a little different in that they don’t carry any samples of other brands. They develop their own products and allow their users to build somewhat of a collection whilst trying out the colours, getting creative and enjoying other little goodies monthly. 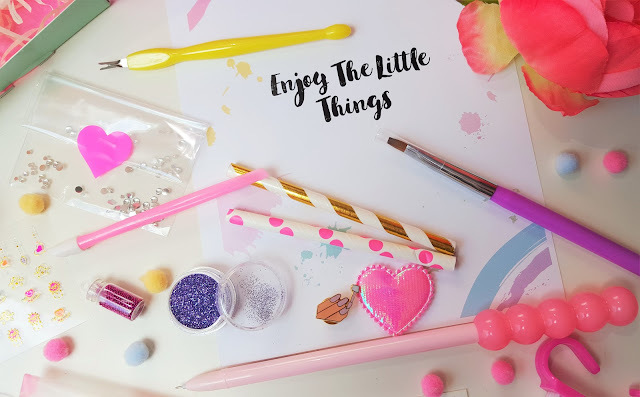 I delved straight away into the nail art dotter, and I knew that I wanted to play around with this little gadget to make my nails spring like. Above are the glorious colours that I received - a hot neon pink 041, a pastel pink 304, and then lastly a gorgeous peppermint green shade in number 241. As well as the gel base and top coat. 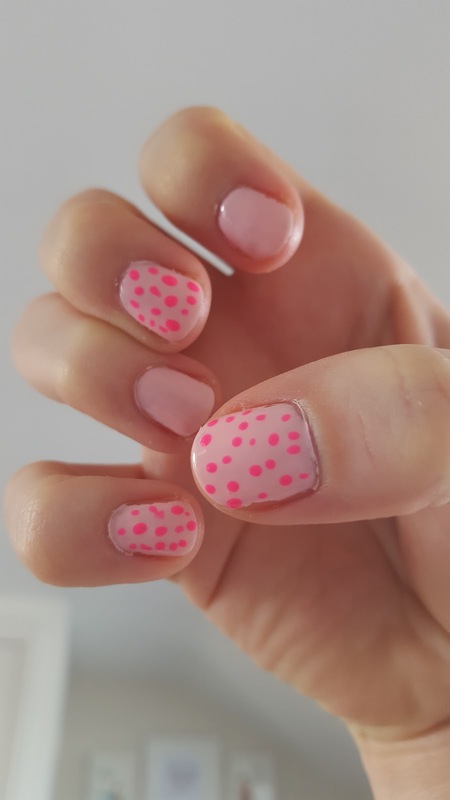 And below is my work of art, I opted for one coat of the Gel base coat, two coats of the soft pastel pink shade, then I dipped the dotter tool into the neon pink shade and made spots, putting them under the UV lamp to set them, I completed the look with one coat of gel top coat and my look was complete! I'm chuffed with my little nail art - I think Candy Coat have excelled themselves with this gel nail polish concept. The polishes are of a really high standard - believe me when I tell you that I have tried loads of other well known UV gel brands, and Candy Coat can definitely hold their own in the quality stakes - two days in - and my gel nails are still going strong. Join in the fun! Whether you are a beauty professional, beauty fanatic or new to gels, Candy Coat offers endless colour options every month. 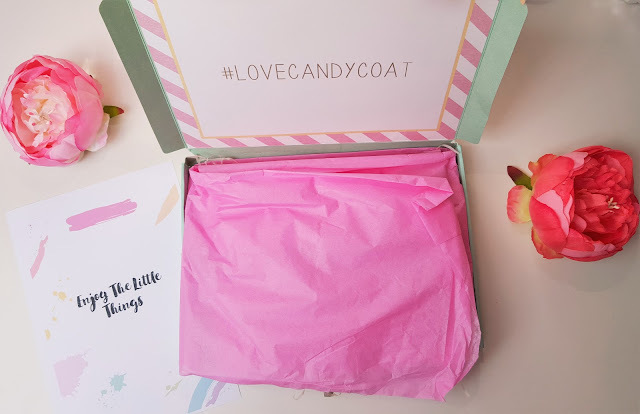 For £18.00 'Here' a month including postage and packing (UK and Ireland Only) the gel subscription box from Candy Coat makes a fantastic gift, or just a treat to yourself. Interesting post, I've never actually heard about this box till now.